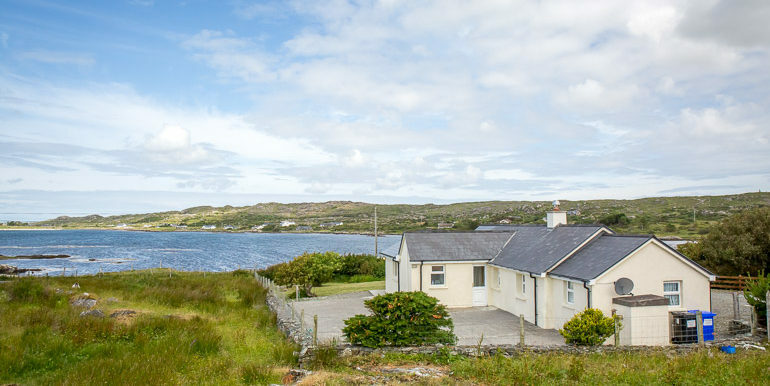 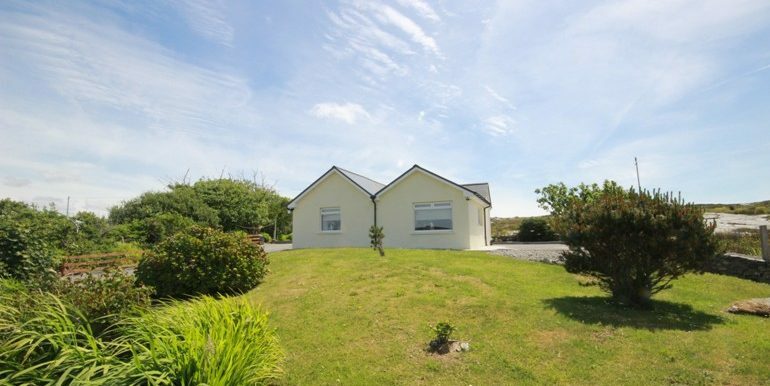 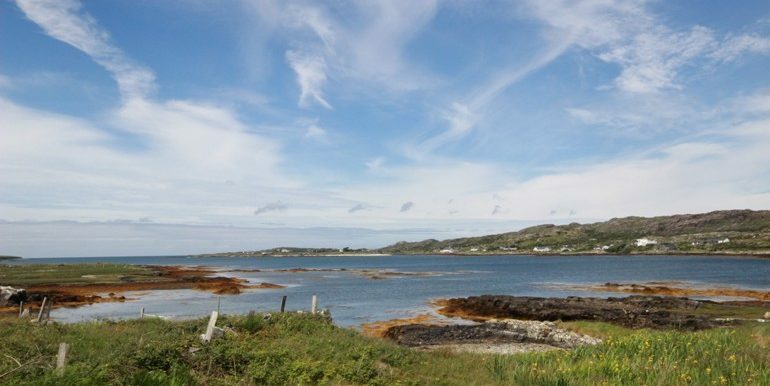 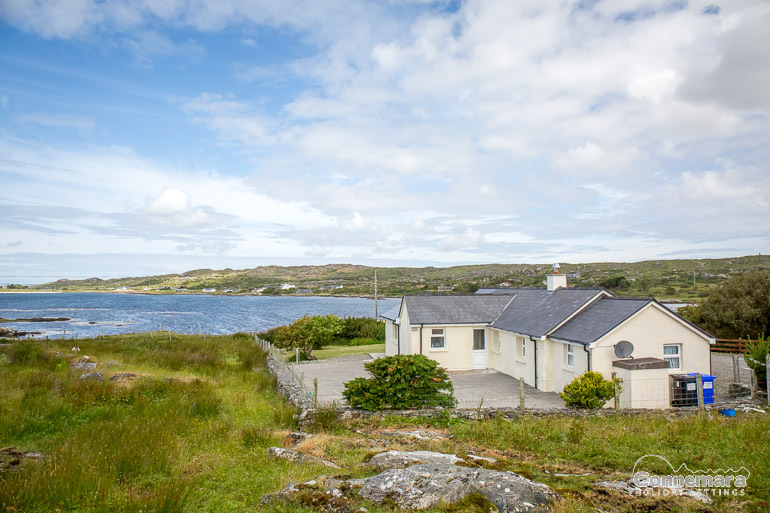 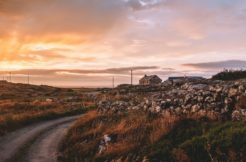 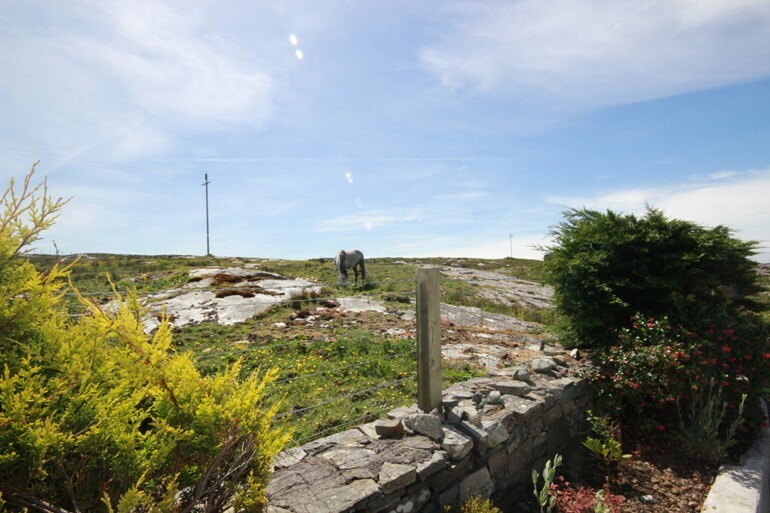 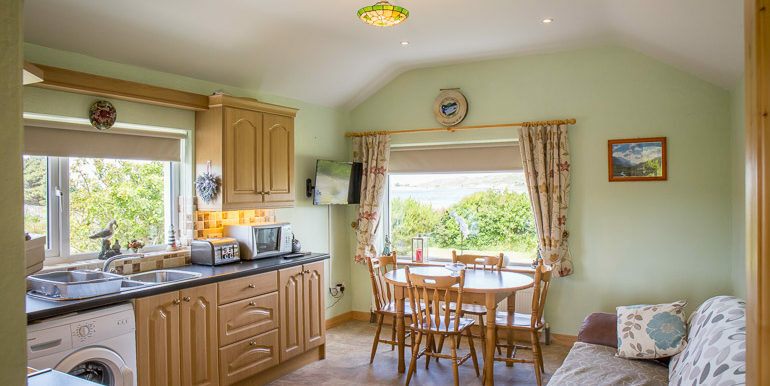 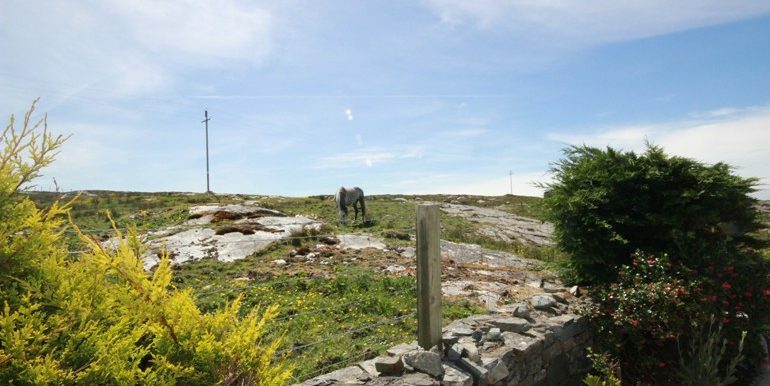 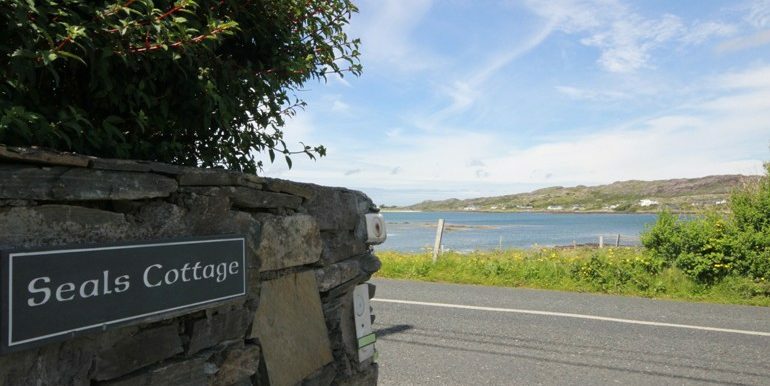 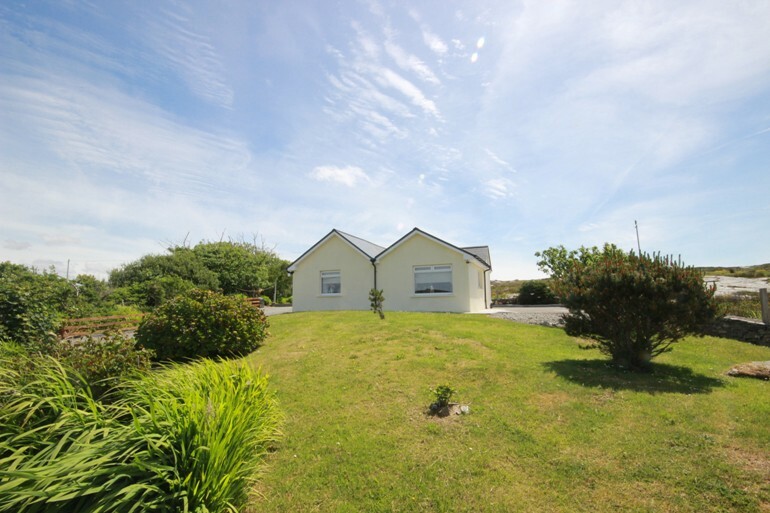 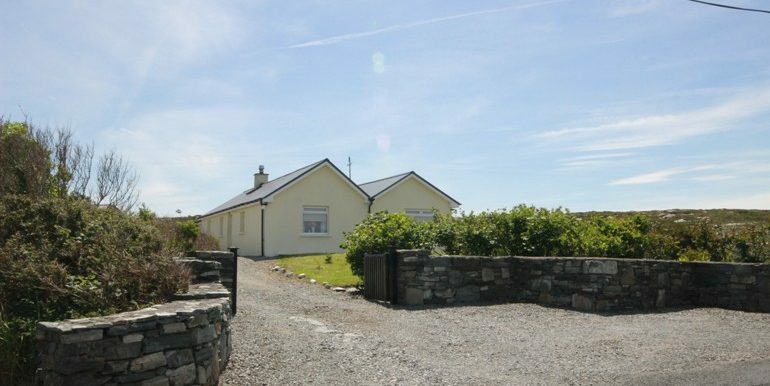 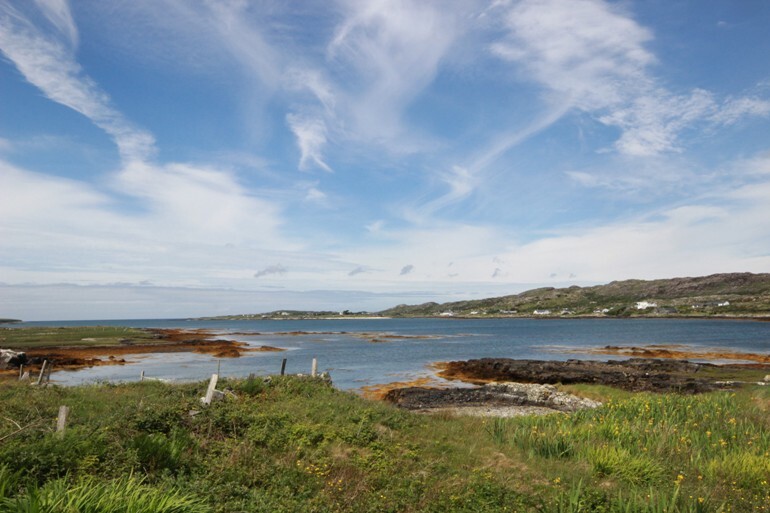 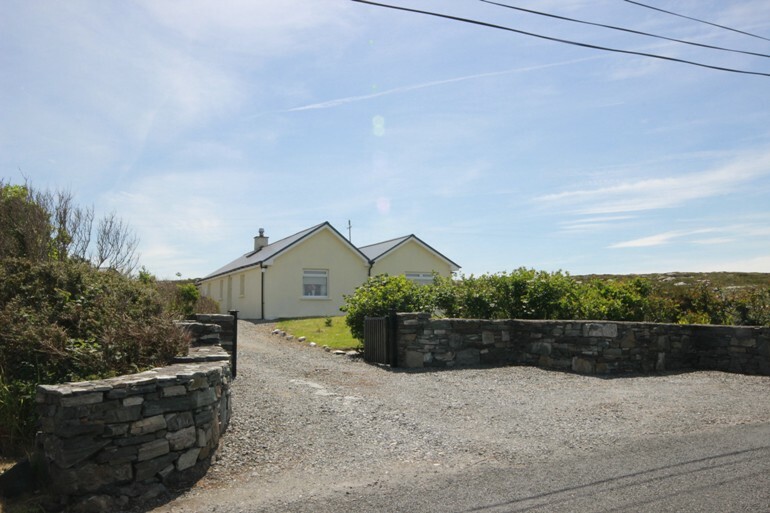 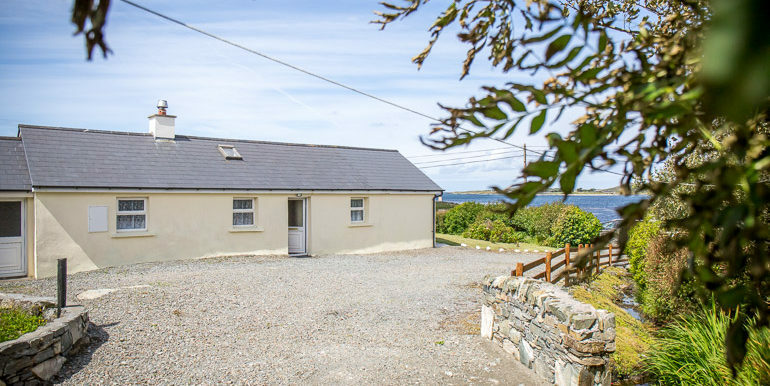 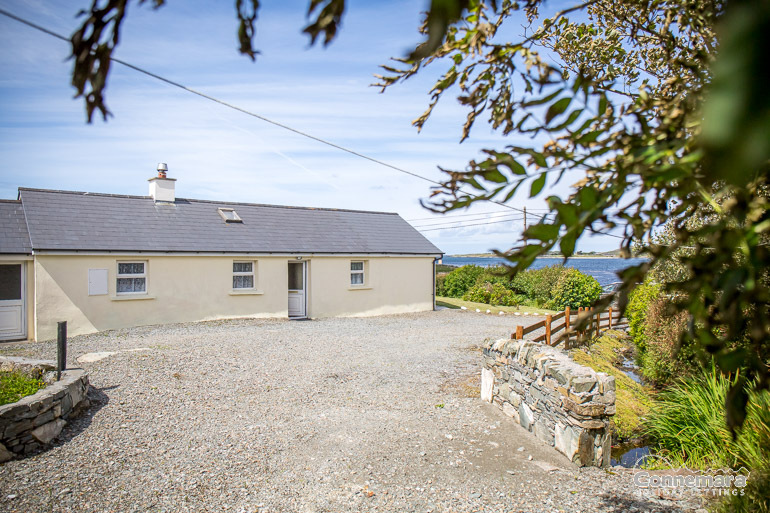 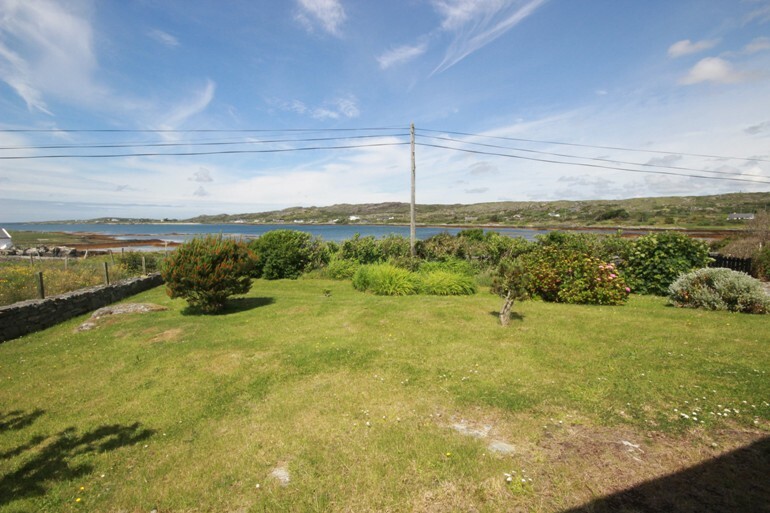 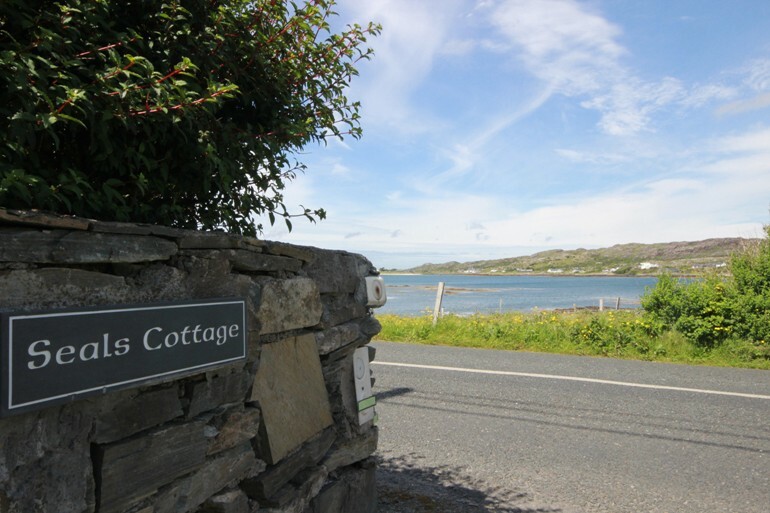 An ideal location for exploring all that the Connemara region has to offer including Kylemore Abbey, Connemara National Park, Connemara Golf Links in Ballyconneely, Dogs & Gurteen Bay in Roundstone and many more attractions and activities are all just a short drive away and waiting to be explored. 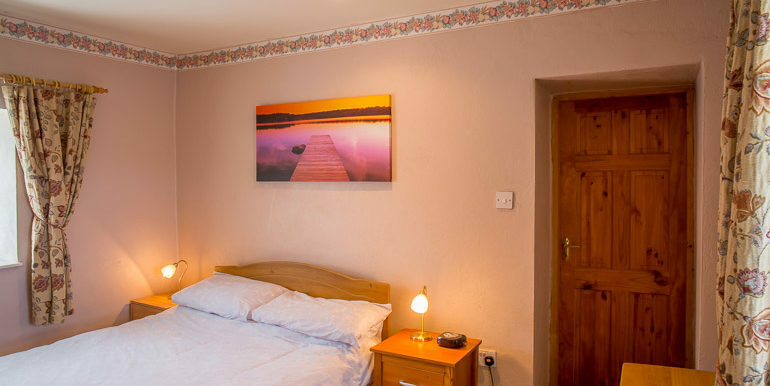 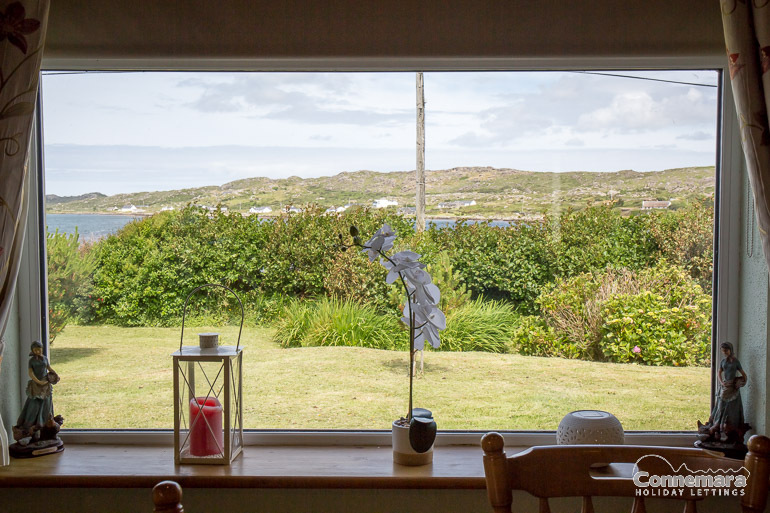 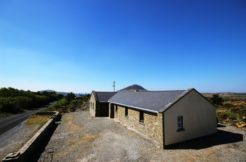 The area is ideal for those that enjoy activities such as walking, sailing, golf deep sea fishing, cycling, sightseeing, sampling the local cuisine or simply relaxing in front of a cosy fire. 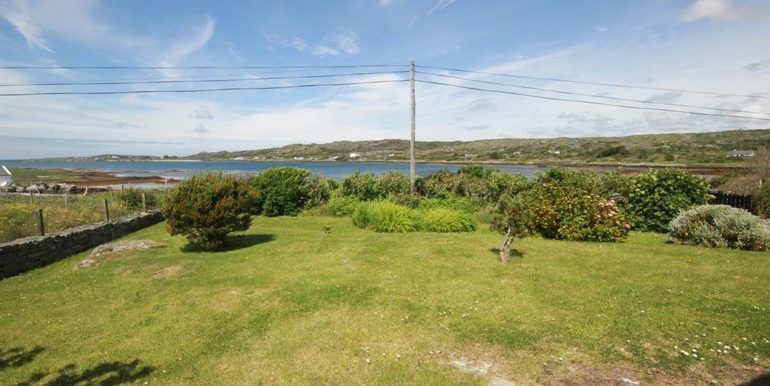 This property is new on our books so don’t delay to avoid disappointment! 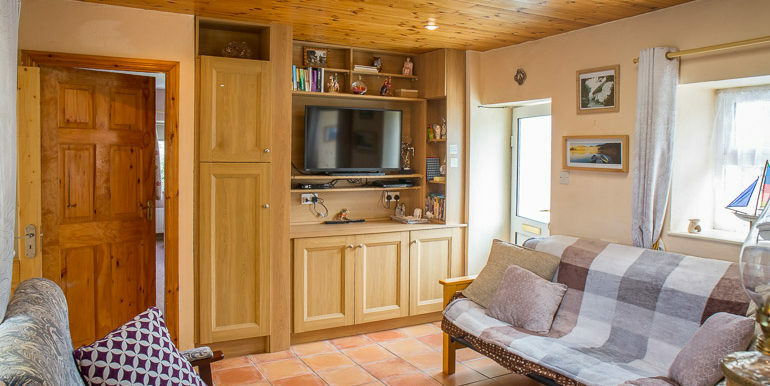 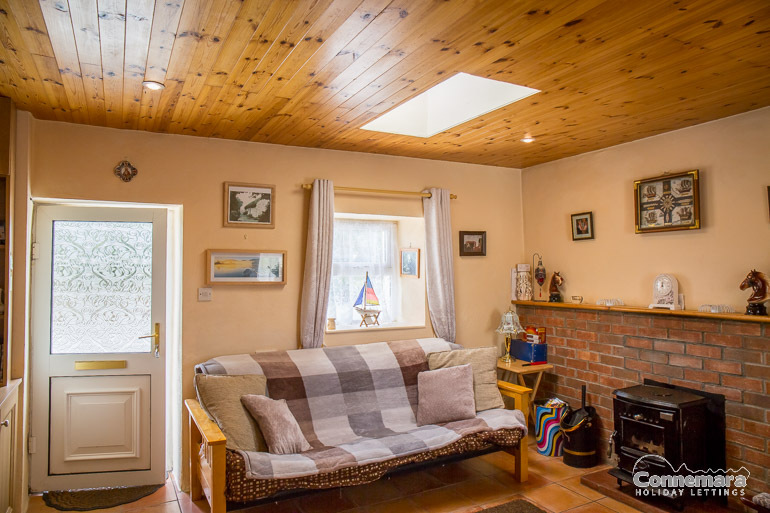 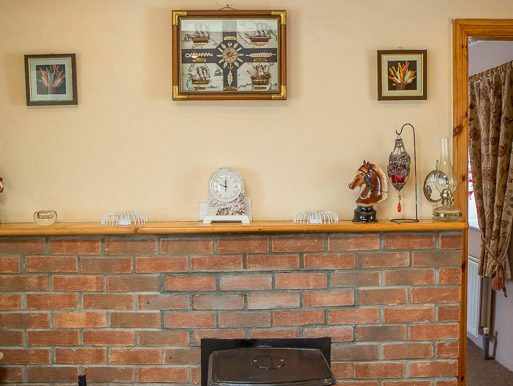 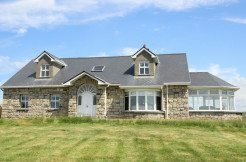 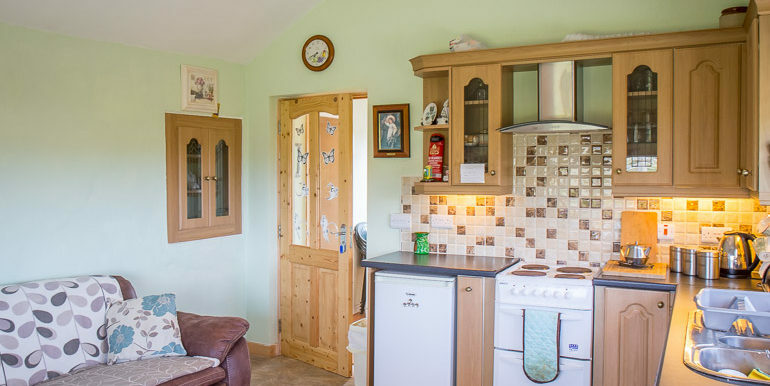 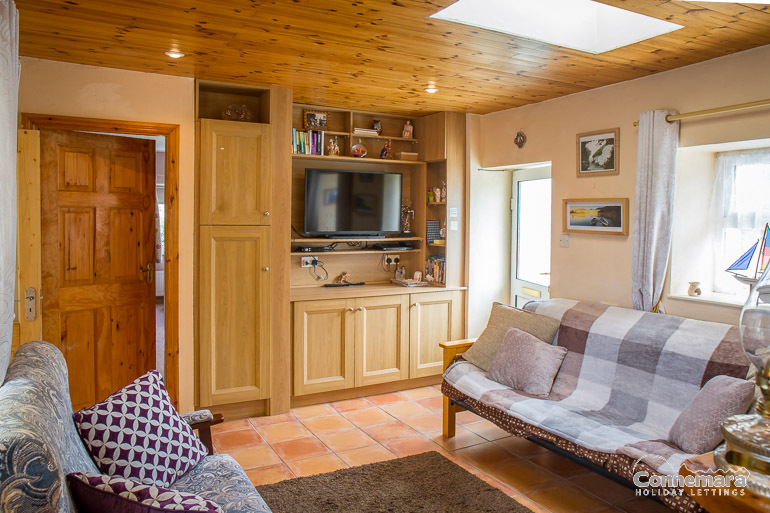 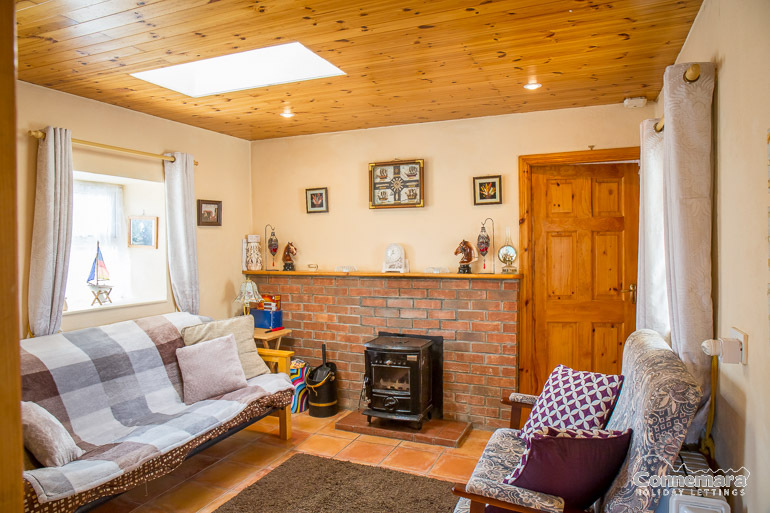 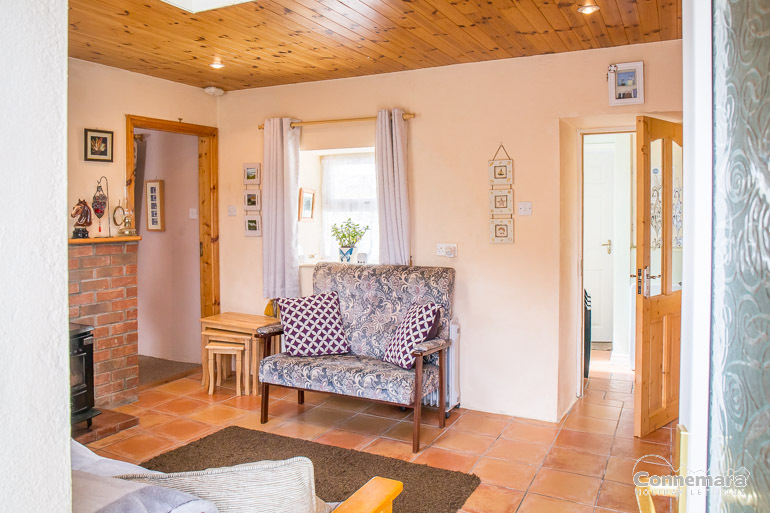 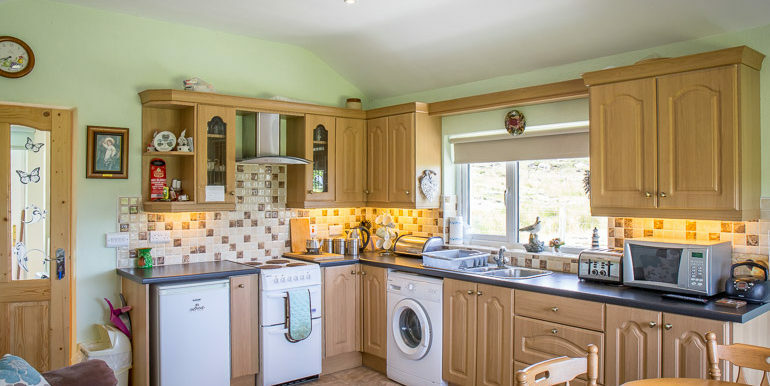 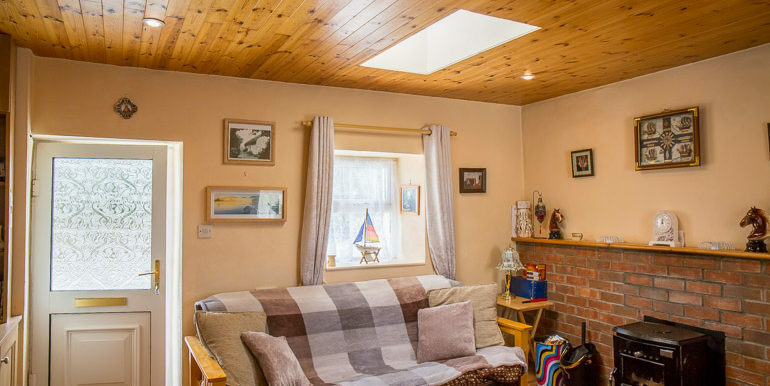 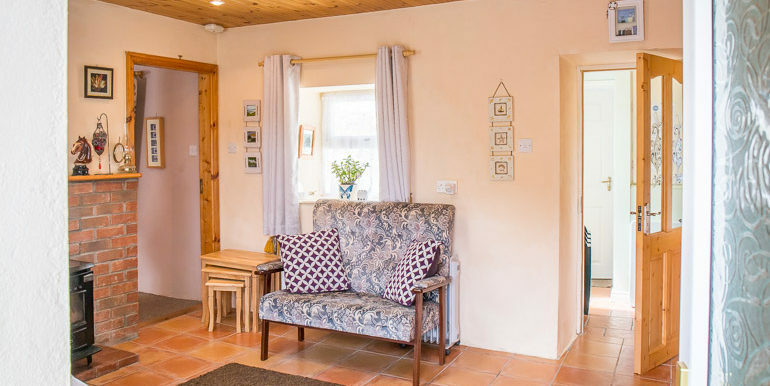 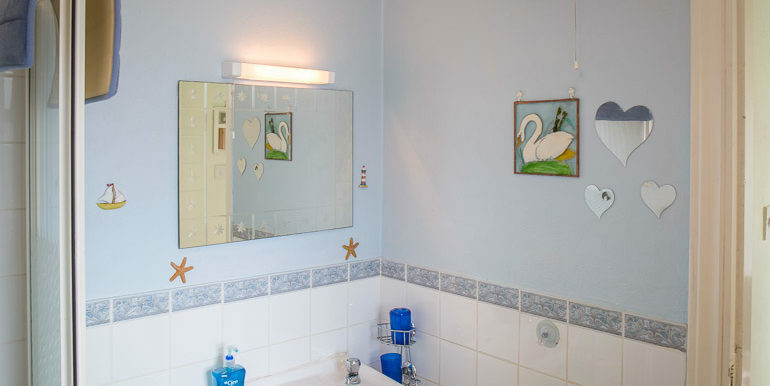 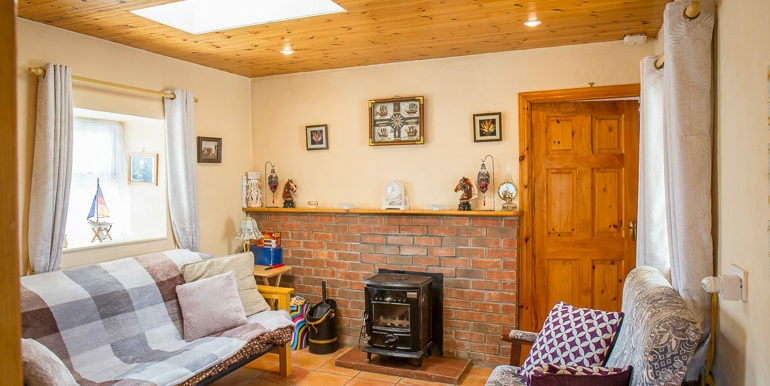 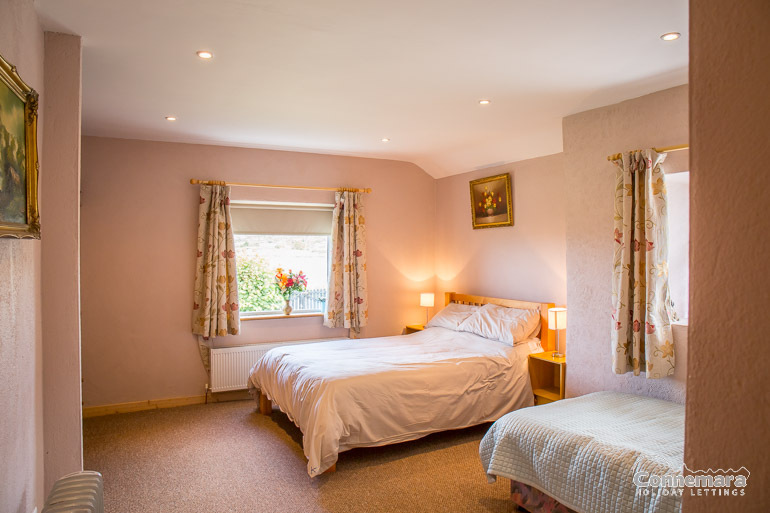 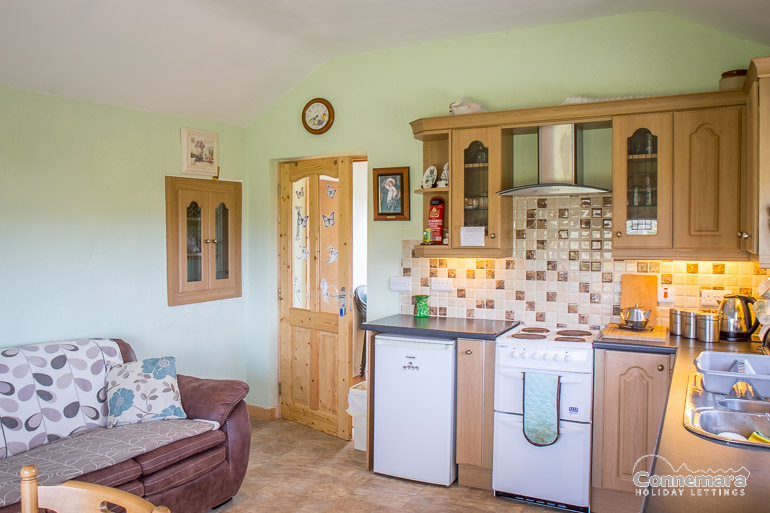 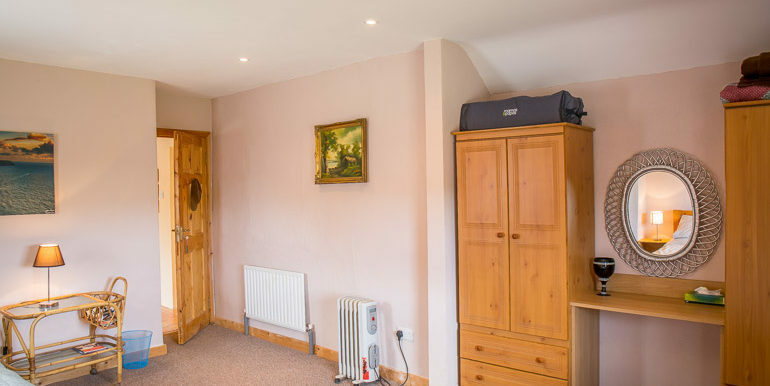 The main entrance is to the side of the holiday home, leading directly into the sitting room with 2 comfy sofa’s, TV with DVD player, stove fire and ample storage. 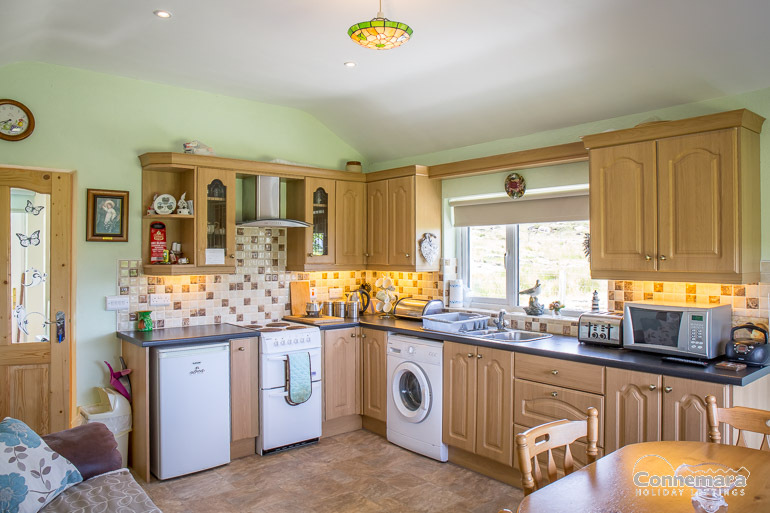 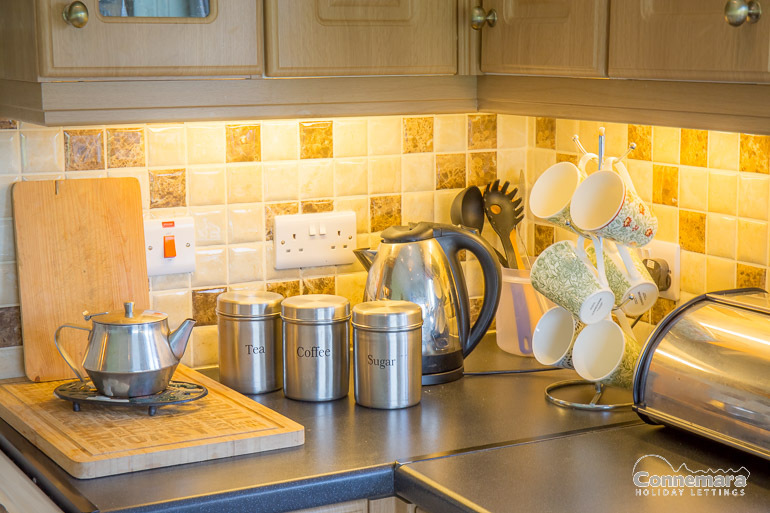 The kitchen is fully equipped with fridge/freezer, microwave, washing machine. 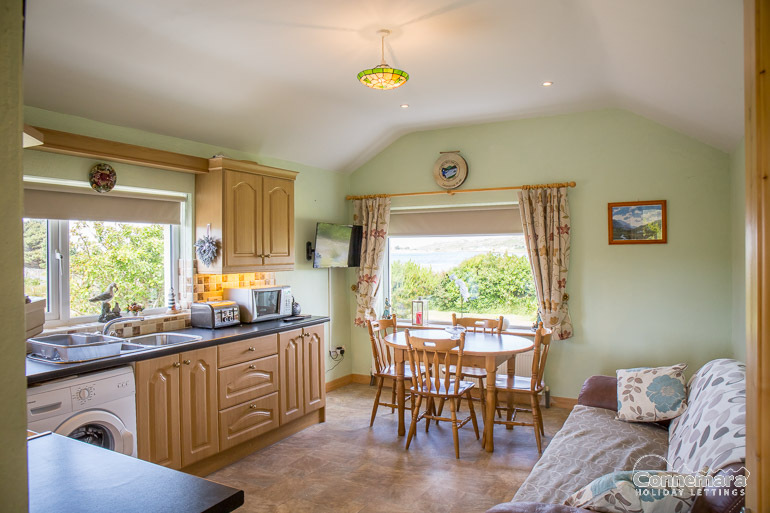 Dining table that seats four, couch and window overlooking the Atlantic Ocean, Mannin Bay & Errislannan Peninsula. 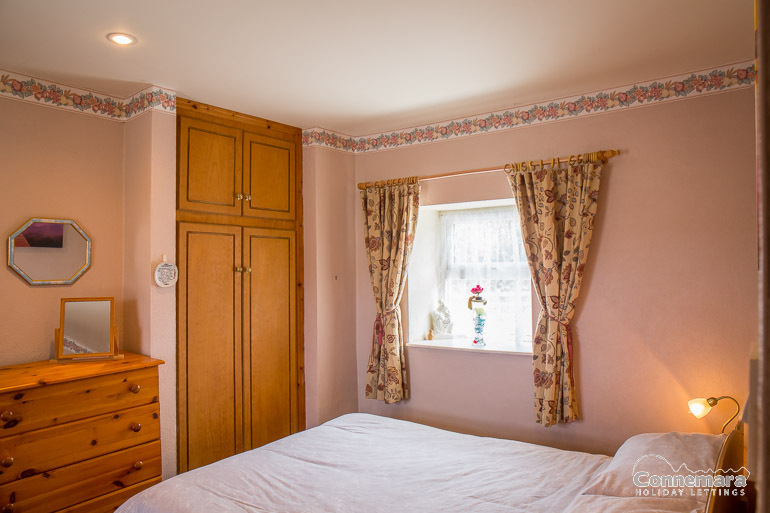 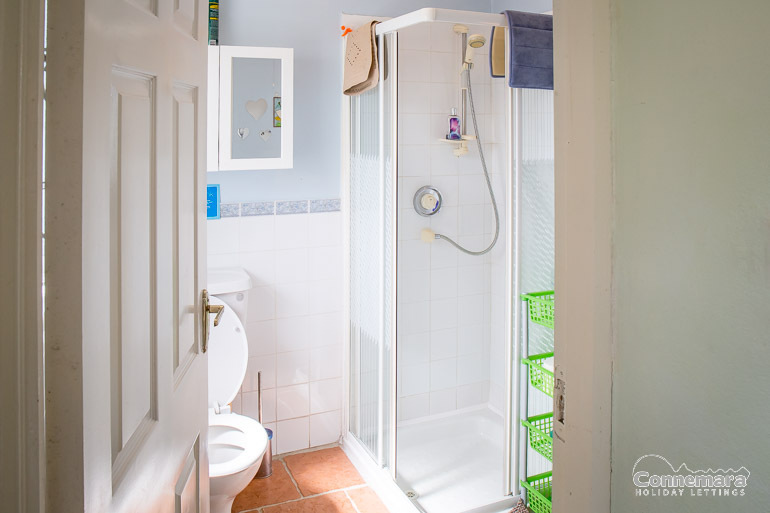 Main double bedroom with double bed, carpet flooring, ample storage and window to side of house. 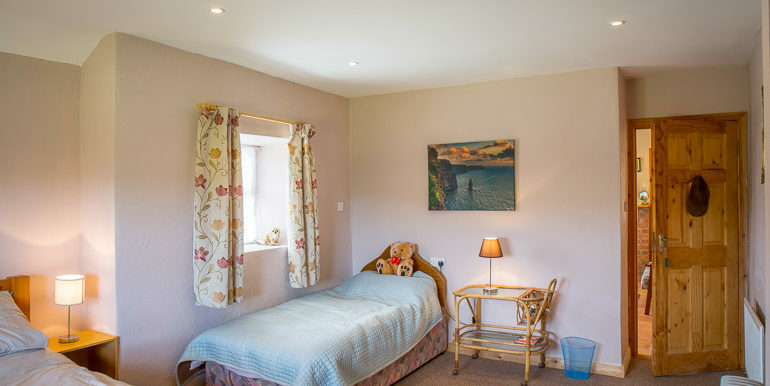 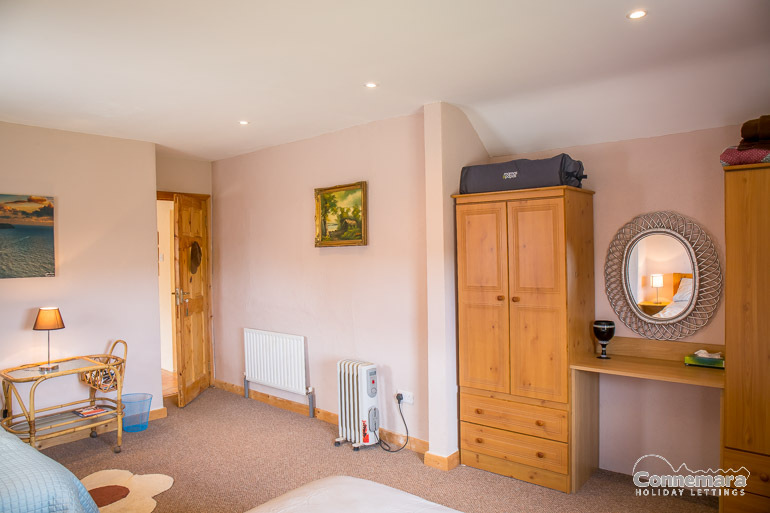 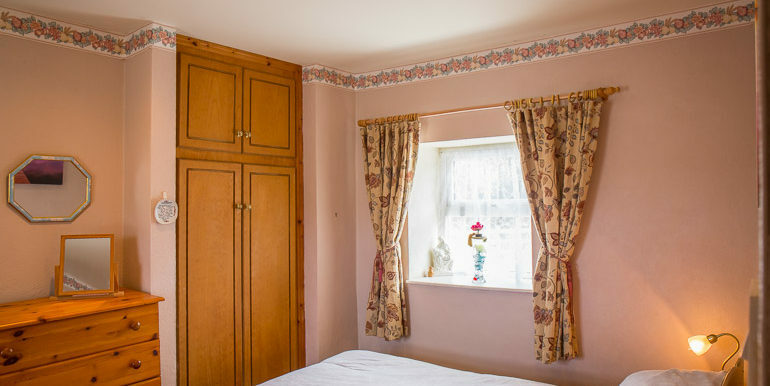 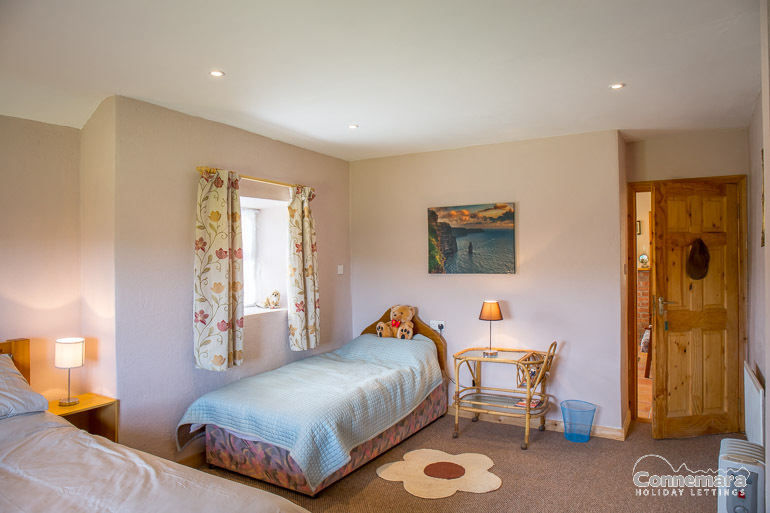 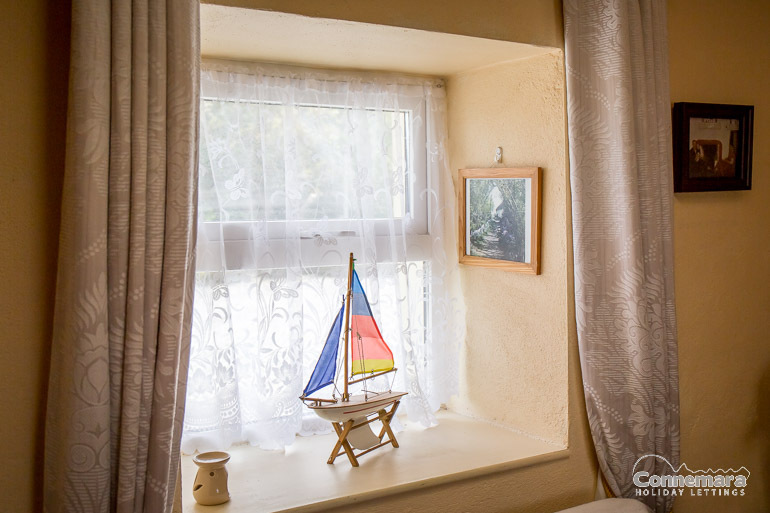 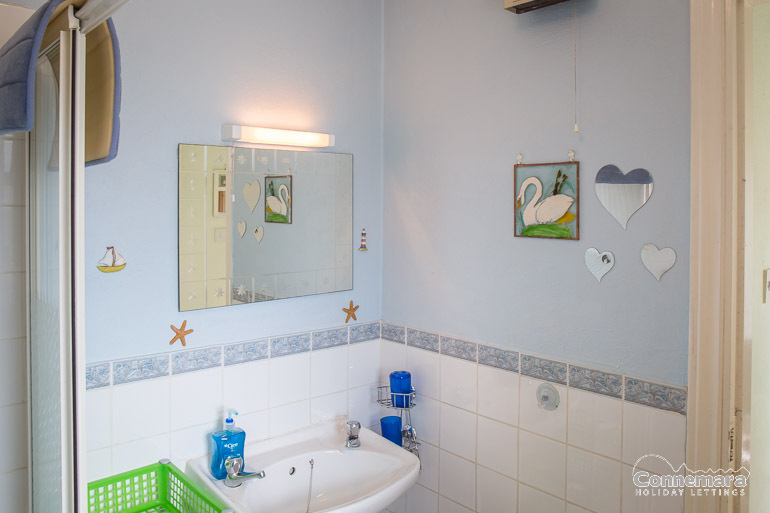 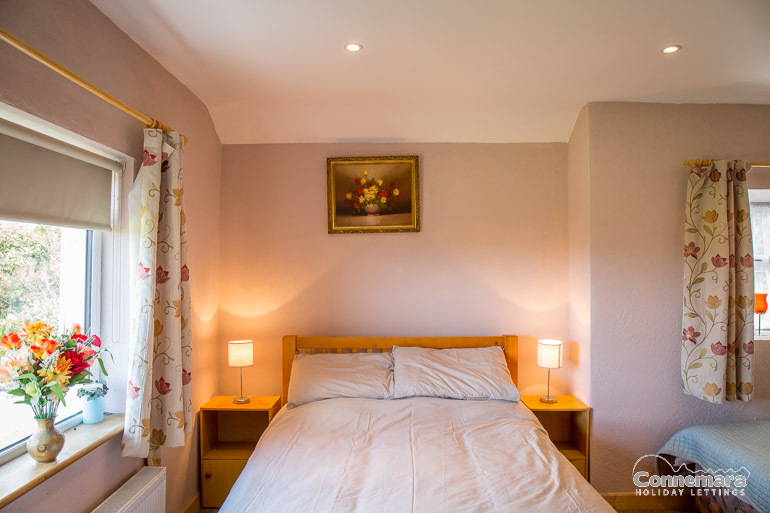 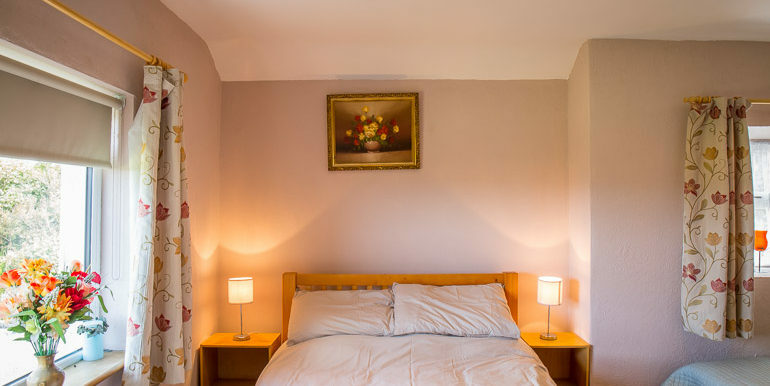 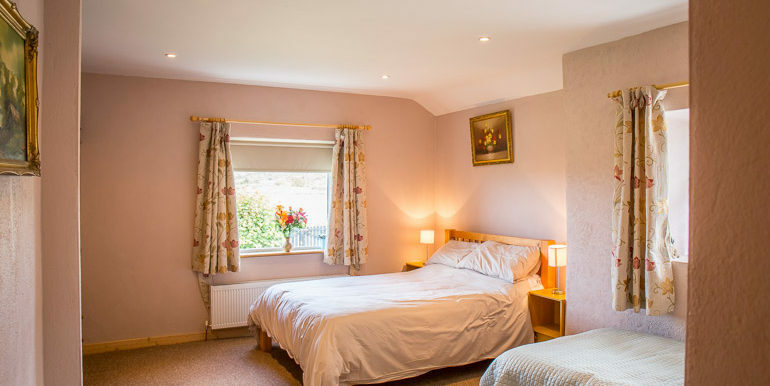 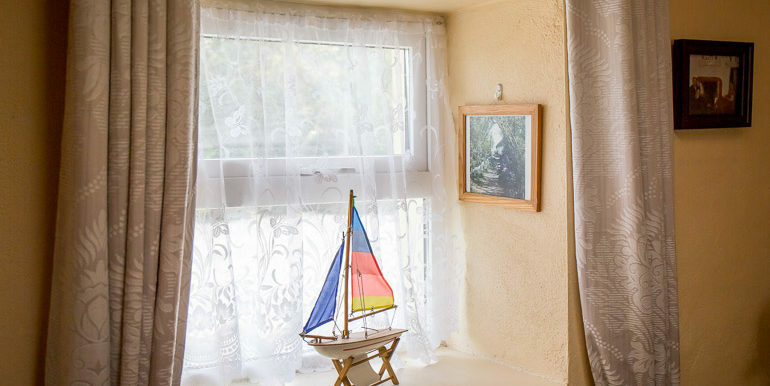 Second bedroom has a king size bed and single bed with carpet flooring, fitted wardrobes, and window to the front with sea views and further window overlooking the side of the house. 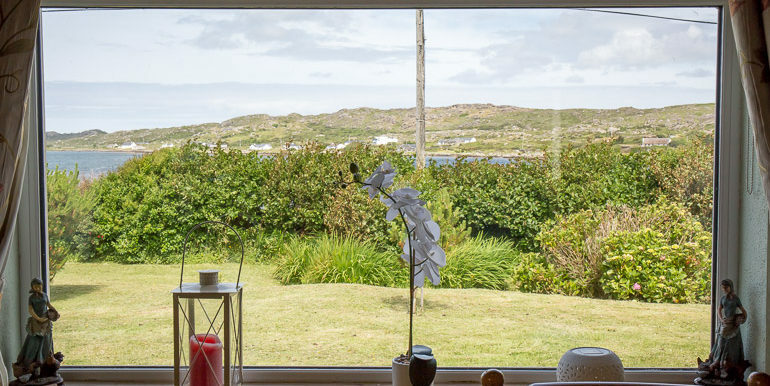 Door to back patio area – large area ideal for dining al-fresco or enjoying a glass of wine in the evening watching the sun set over the bay. 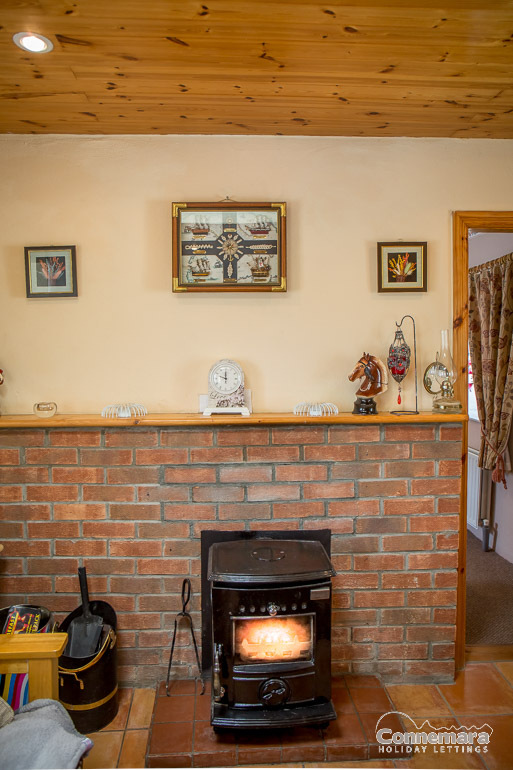 Oil and Electricity is charged at €35 per week. 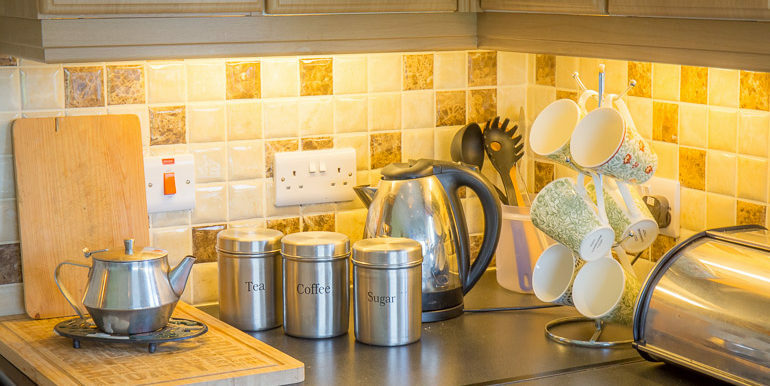 There is a pay as you go WiFi dongle (only suitable for emails). 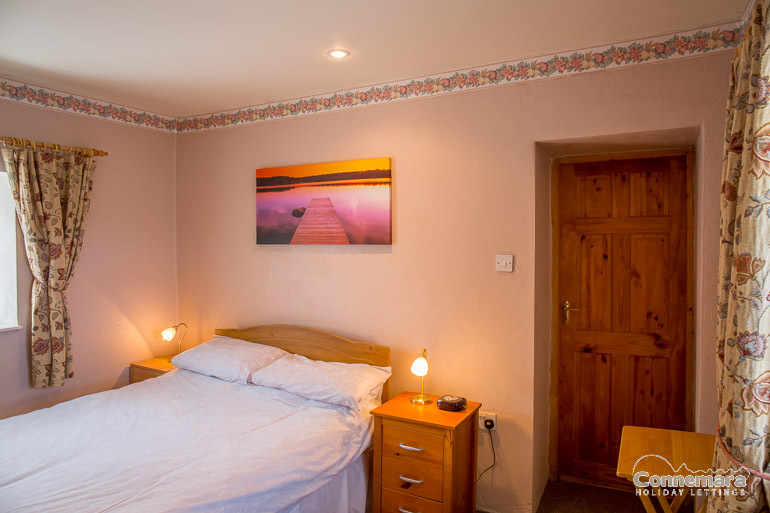 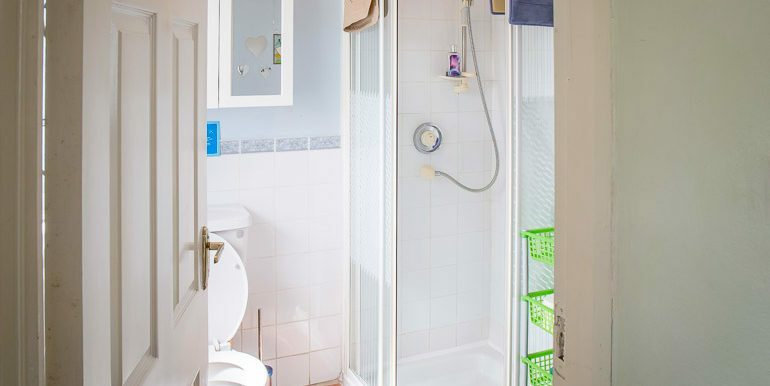 €100 damage deposit is required upon arrival as long as there are no damages or spillages in the property this is fully refunded on the day of departure.